Zhejiang Jiajie Plastic Co., Ltd.
Q: Could I choose design from your catalog9 A: Yes,it is OK. Please tell us the style you like,will recommend the suitable design for your choose. And please also tell us your target price. We manufacture and export Plastic products,such as PVC bath mat, PP cutting board and other plastic Daily commodity to the USA, Canada, Europe, Japan and other countries . Most of our products are custom molded: 1. Plastic: ABS,PP,PE,PC,PA,TPE,PVC and customized 2. More than 30 sets of Plastic injection machine, 2,000,000 pcs of plastic products per MONTH! 3. sets o f CNC machines an d other facilities If you have any inquiry, we have the tough strict quality control system to ensure every piece of product will be checked before exfty, including First sample inspection, Primary inspection, In process inspection and Final inspection! Guangdong Yuanhua New Material Industry Co., Ltd.
4,Q:What is the advantage of your product9 A:We use the environmental raw material . 5,Q:What&rsquo;s the delivery time9 A:Usually we keep our regular products in adequate stock. But for some customized products,the delivery period will be around 20 days according to the different orders. Specification Bathtub Bath Tub Treads Non Slip Appliques Sticker Pvc Bathroom Mat Item No. Delivery Details 20-30 days after we receipt of the deposit. ,LTD We sincerely hope to cooperate with more customers for mutual development and benefits. Why choose us Quality is our culture We have pay much attention on the quality. So we always deliver on time to save your time and money. In this way, we can collect many feedback from the domestic and foreign customers. 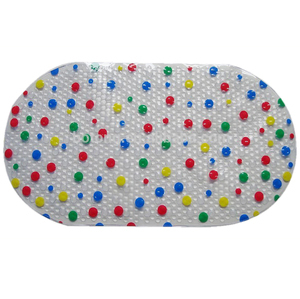 Beijing Kingco Home Textiles Manufacturing Co., Ltd.
Alibaba.com offers 3,072 pvc bath tub mats products. About 77% of these are bath mats, 12% are mat, and 1% are other baby supplies & products. 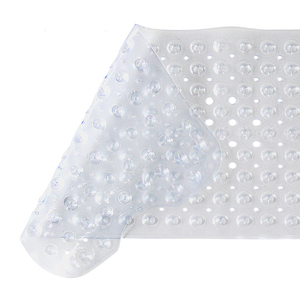 A wide variety of pvc bath tub mats options are available to you, such as pvc, rubber, and eva. You can also choose from free samples, paid samples. 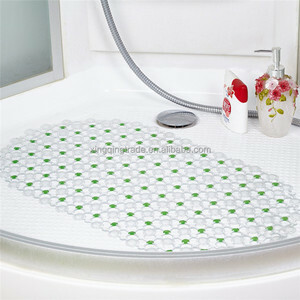 There are 3,075 pvc bath tub mats suppliers, mainly located in Asia. The top supplying countries are China (Mainland), India, and Colombia, which supply 99%, 1%, and 1% of pvc bath tub mats respectively. 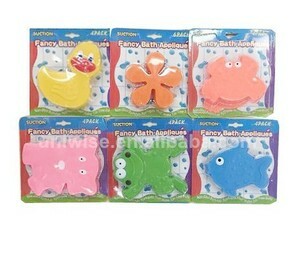 Pvc bath tub mats products are most popular in North America, Western Europe, and Domestic Market. You can ensure product safety by selecting from certified suppliers, including 692 with BSCI, 390 with Other, and 278 with ISO9001 certification.